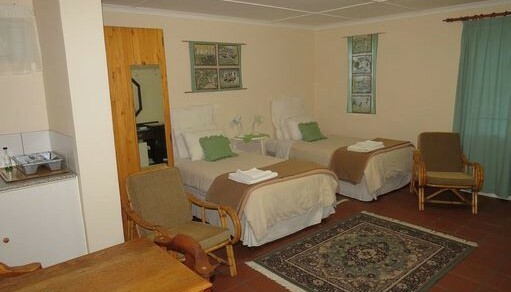 Unit No 4 has an en-suite bedroom with an alcove kitchenette and table. There are 2 x 3/4 beds, TV, tea and coffee, an outside table and chairs and its own entrance. All linen, towels, duvets and extra blankets are provided. The kitchenette has microwave, kettle, toaster, fridge and wash-up sink, cutlery and crockery. A portable braai (BBQ) is provided.